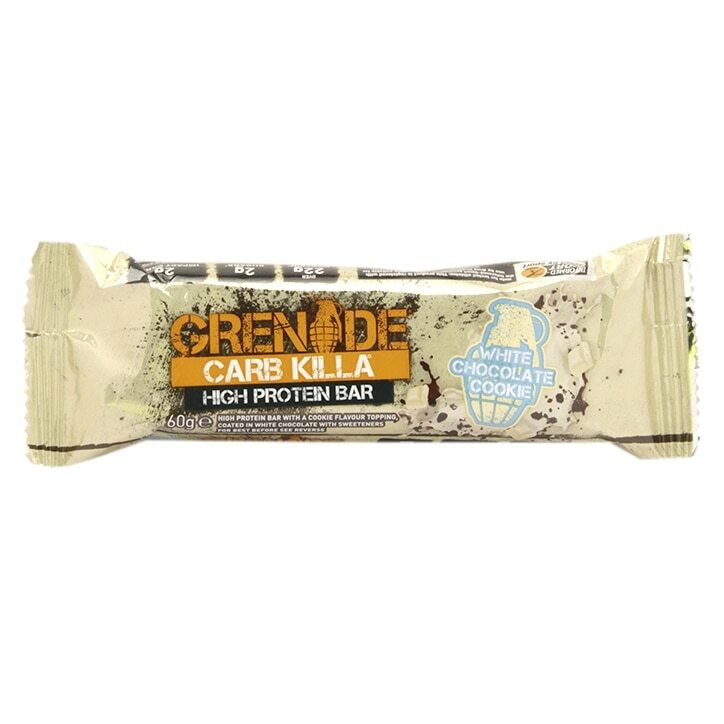 Triple layered and deliciously crunchy, you'll find it hard to resist Grenade Carb Killa White Chocolate Cookie Bar! Great as a high protein treat mid-morning, post-workout, or as a treat, this seriously tasty protein bar is made using a special baking process for a softer, crunchier texture. Each Carb Killa protein bar is made up from delicious triple layers, and filled with crunchy 'crispies' all coated in milk chocolate. With low sugar this bar really is the perfect high-protein snack. Grenade Carb Killa Bar White Chocolate Cookie is rated 4.8 out of 5 by 56. Rated 2 out of 5 by Erikson from Good Fuel! Bad Taste! Very much thought after having tried most the other available Grenade bars that I would select this product to try. Awful taste and offputting texture. Rated 5 out of 5 by Anonymous from Tastes so good! Literally my favourite protein bar, actually tastes amazing!! Rated 5 out of 5 by kazzy68 from I love these bars! I have just bought 2 boxes of the white chocolate cookie and 2 of the selection boxes, one is a gift to some lucky person ha ha... they all taste good but the white chocolate is my favourite!